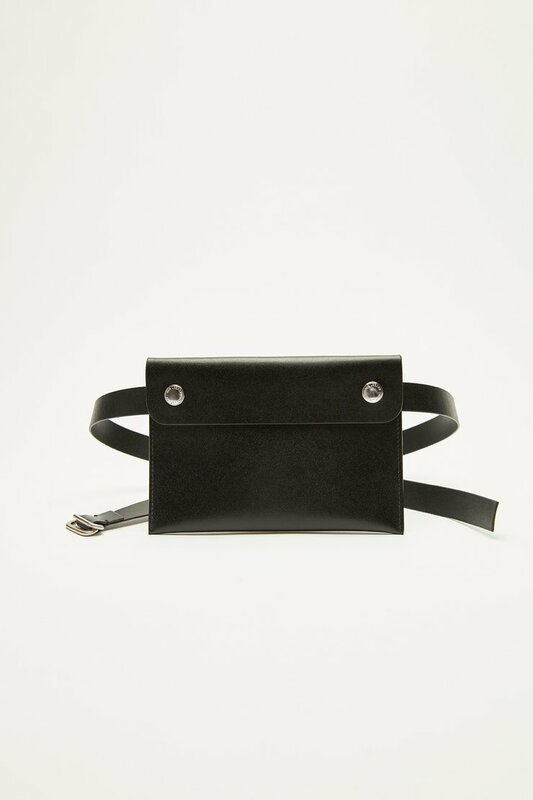 Our Tool Belt Bag in Black. 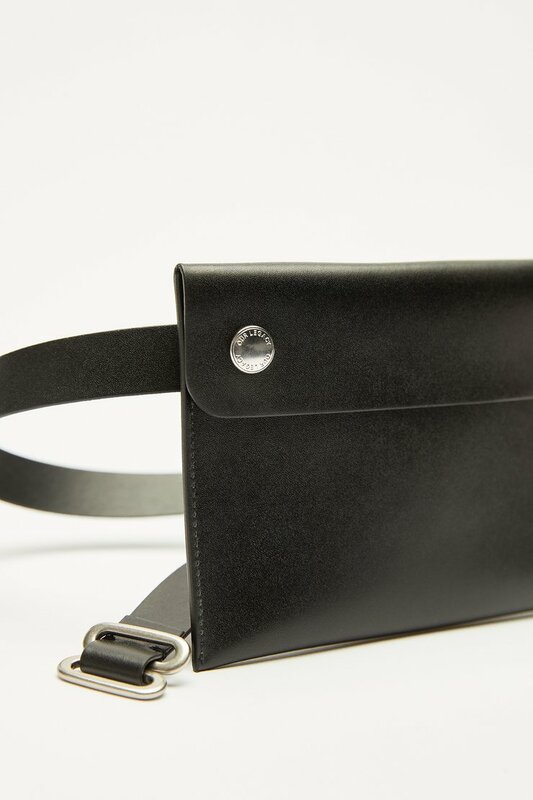 This small leather bag is attached to a removable belt and designed to be worn around the waist. The belt is secured with a D-ring closure. The Tool Belt Bag comes in one size. The bag dimensions are 17 cm x 12 cm. The belt has a width of 2 cm and measures 110 cm including the buckle.